The January Kirkcaldy Ramblers Daunderers walk took place on the morning of January 8, the usual first Tuesday of the month being New Year’s Day. 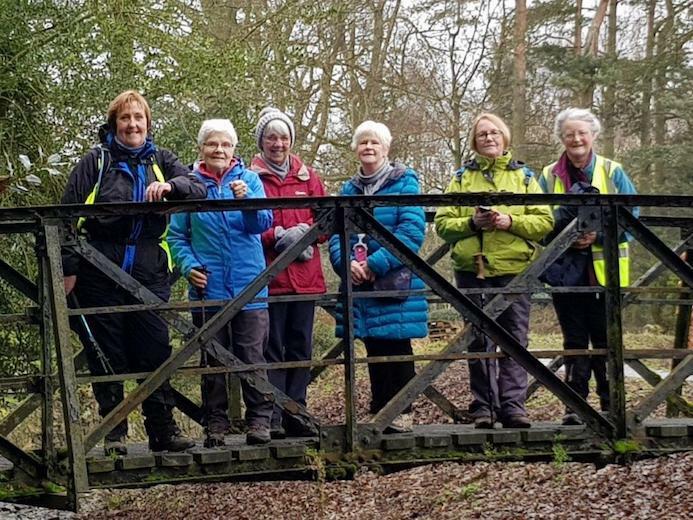 On a bright sunny morning, with blue skies to colour the winter landscape, Ruth led a group of Kirkcaldy Ramblers members and visitors on the “Stenton Twist” walk from the Lomond Centre at Woodside in Glenrothes. The route was simple: out along Boblingen Way, through Warout Wood, and then to Stenton Pond and back, mainly along the cycle path through the shelter of the houses at Pitteuchar and Stenton. A few twists off the route using green areas and woods added variety and enjoyment, as did the landscaping and other artistic features along the cycle path. In the houses at Stenton the wall that snakes up and down small hillocks provided a talking point. Near the pond a marriage lintel and date stone from East Finglassie farmhouse have been preserved. These particularly interested a member of the group who had stayed at the house as a child. Before demolition it was a substantial building dating back to the seventeenth century and occupied by Lord Kinglassie, a member of the judiciary. Stenton Pond itself, home to ducks and a pair of swans, and with a heron visiting as the party passed, was an oasis of calm amongst the trees. On the return through Pitteuchar a gigantic painted toadstool by a children’s play area brought smiles. 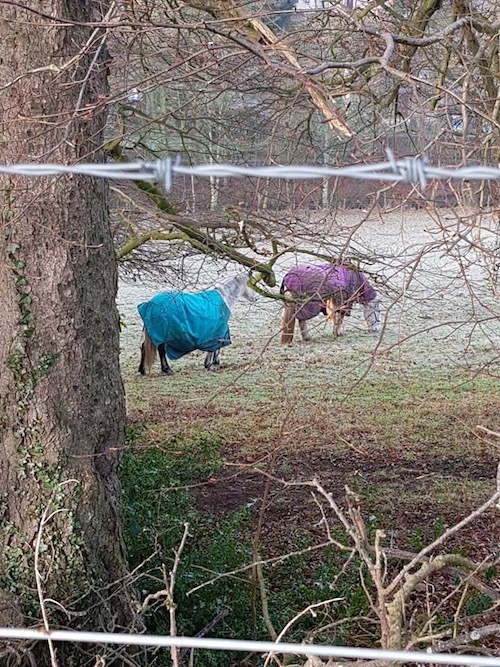 Returning to Woodside along Boblingen Way, the walkers were amazed to turn a corner and find themselves instantly back at the Lomond Centre. Before leaving for home, the group had a very enjoyable lunch in the Centre and were delighted by both the service and the quality of the food. It was an overcast day with a gentle breeze when thirteen ramblers led by Liz walked the 6 miles from Anstruther to Elie. After a short distance the group had a coffee break at a children's playground on the outskirts of Anstruther. The view of the harbour and the sound of the waves made it an ideal spot. It was difficult to see the Lothian coastline because of the low cloud, but as we continued The Bass Rock, Berwick Law and The Isle of May became quite clear. Passing through Pittenweem the fishing boats in the harbour and the selection of different styles of houses were admired. Soon the site of the salt pans and windmill was reached at St Monans where the group enjoyed reading about the history of the site and its importance in the past. Continuing through the village The Wellie Boot Garden showed how cast-off wellies can be used as plant pots in a decorative way. Further along the coastal path the group reached an ideal spot for on the beach lunch, which refreshed the walksers for the final stretch to Elie. Along most of the route the variety of rock colour and formation made it interesting, though the evidence of serious erosion caused some concern. Our customary refreshments at the end of the walk were enjoyed at the Ship Inn in Elie, which provided them efficiently and in comfort. After leaving a frosty and foggy Kirkcaldy we arrived to a bright clear day in Ceres, much our relief. Our walk today explored the woodland of Craighall Den. 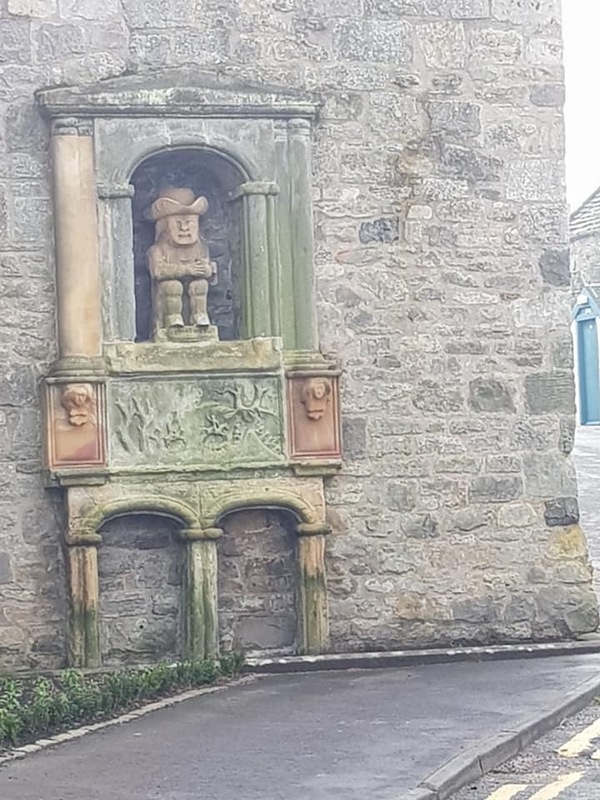 Passing briefly back through the village past the satirical stature, in the form of a toby jug, of last church provost of the village in 1578. 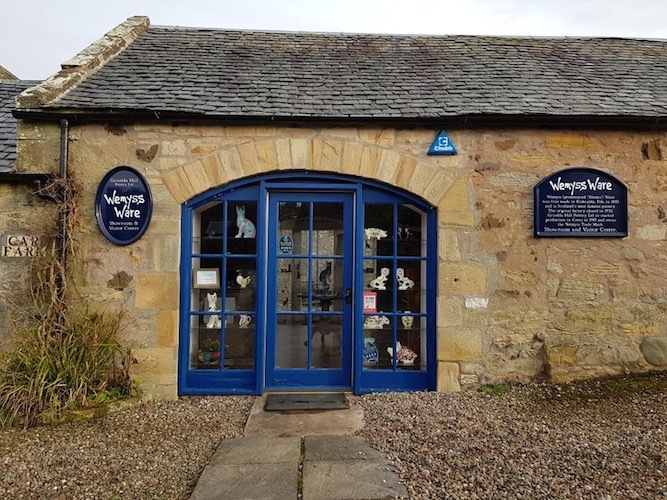 We proceeded through the village past the church and admiring the Wemyss Ware pottery produced by Griselda Hill before reaching core path which leads towards Cupar. Reaching the top of the farm track we had great views across the village, and although the view north was masked by the remains of the fog. 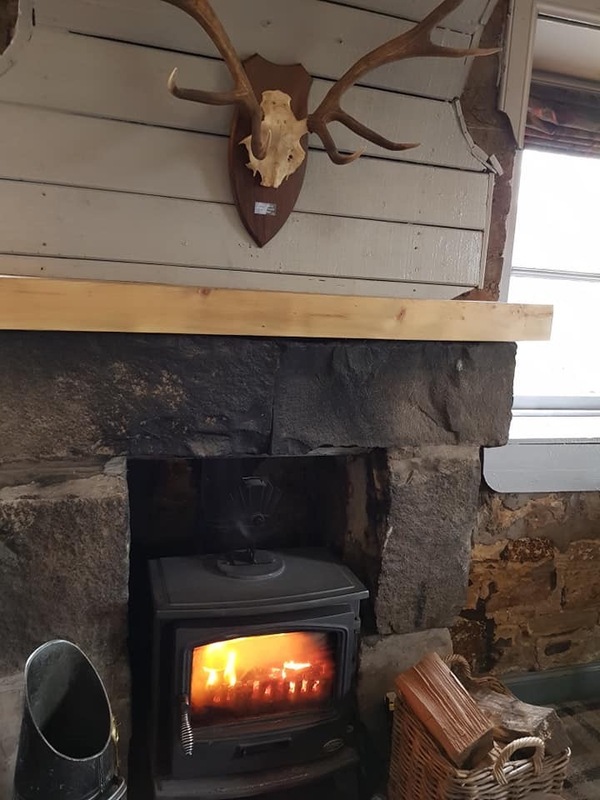 After following the road back into the village we headed by car to the Village in, Pitlessie and enjoyed a great two course lunch beside the warmth of their wood burning stove. It’s great to get out and explore the countryside at this time of year.